Article: Idina Menzel To Perform At The 2016 Latin American Music Awards Plus Find Out Some More New Presenters At The Latin AMAs! The Latin American Music Awards, aka one of the greatest nights in entertainment history celebrating the unforgettable and stupendous achievements of Latin artists in the music world, is making its way to Hollywood and we couldn’t be anymore excited! The prestigious and renowned award show, which will be taking place on October 6th at 8PM / 7c at the Dolby Theater promises a spectacular and sensational night filled with so many memorable highlights and terrific moments! To add onto all of the magnificent Latin AMAs excitement, it has just been announced that the consummate actress and singer, the one and only Idina Menzel will be performing at the Latin American Music Awards. Tony Award winning Idina Menzel joins the list of other remarkable performers at the event including Alvaro Soler, Aymee Nuviola, Baby Rasta & Gringo, Banda Sinaloense MS de Sergio Lizarraga, Becky G, ChocQuibTown, CNCO, Dvicio, Flo Rida, Franco de Vita, Gente de Zona, Gerardo Ortiz, Jacob Forever, Jesse & Joy, Joey Montana, La Santa Cecilia, Lucero, LunchMoney Lewis, Miguel Bose, Nicky Jam, Pitbull, Prince Royce and Sofia Reyes (source: press release). In addition, Telemundo also revealed a host of other extraordinary presenters that we can all look forward to seeing at this year’s mesmerizing award show. Vine sensation, author, actress and social media influencer, Lele Pons will be presenting at the event along with “Access Hollywood” co-host Liz Hernandez, from the upcoming TELEMUNDO show “Don Francisco Te Invita” Jessica Carrillo, urban superstar Yandel, and former Miss Universe Alicia Machado (source: press release). The highly-anticipated and marvelous event will also pay a special tribute to the iconic, late Juan Gabriel featuring Lila Downs, Shaila Durcal, Aida Cuevas, and Mariachi De Mi Tierra. The tribute will hold a special place in everyone’s hearts and will also cherish the relationships Juan Gabriel had with longtime friend, Eduardo Magallanes, who arranged the musical number as well as produced by Juan Gabriel collaborator, Gustavo Farias. You can also join in on even more Latin AMAs fun by staying connected with all of the Latin American Music Awards’ social media networks. Head on over and add TeamTelemundo on Snapchat to see Prince Royce’s takeover as he gives you a behind the scenes look of his fun time heading off to the Latin AMAs. There will also be a Facebook Live hosted by E! and Telemundo and a photo series and portrait shots on the Latin AMAs’ Instagram account. I, Alexisjoyvipaccess have the greatest honor of covering all three rehearsal days and the Latin American Music Award show so be sure to stay tuned here and on YouTube.com/alexisjoyvipaccess for VIPAccessEXCLUSIVE coverage from the event! 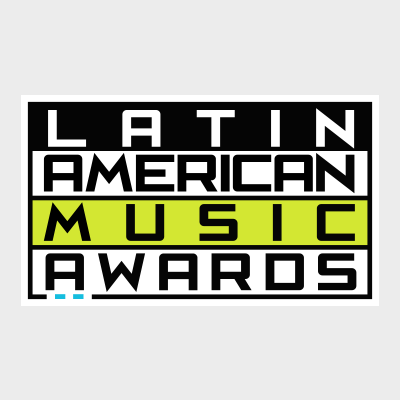 Be sure to tune in to the 2016 Latin American Music Awards on October 6th at 8PM / 7c on Telemundo and NBC Universo and catch the award show pre-show “La Alfombra de Latin AMAs” at 7PM/6c and the post-awards show “Acceso VIP” at 11:35 PM/ 10:35c. Stay connected with the Latin American Music Awards by following @LatinAMAs on Twitter and Instagram and join in on the conversation by using #LatinAMAs! Previous Article: You’re Invited To Rydel Lynch’s Tea Party With Home & Family TV – Pics Here! Next Article: #ICYMI – Check Out The Nominees For The 2016 MTV EMAs And Watch Leroy Sanchez’s Cover Medley Video!